Stainless Steel Balloon Wire Whisk 3 Pc Set Just $7! Was $26! You are here: Home / Great Deals / Amazon Deals / Stainless Steel Balloon Wire Whisk 3 Pc Set Just $7! Was $26! There is still one way that I can always impress my grown daughter – by whipping cream by hand! I use my whisks for so many things, including whipped cream, fluffy scrambled eggs, satin smooth gravy & white sauce and more! 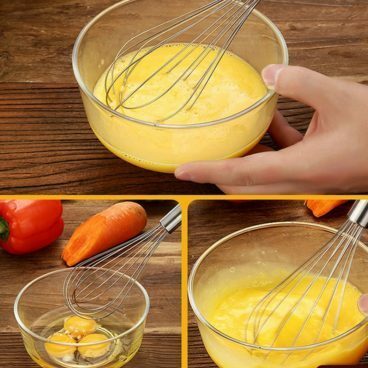 Get the Stainless Steel Balloon Wire Whisk 3 Pc Set for Just $7! Was $26! On sale for $10, enter promo code FF5GDXO8 at checkout to get this great deal!